Elasticated Waist with Drawstring to ensure a comfortable fit. Our Collection at Boxers and Briefs contain only the highest quality Ted Baker Swimwear. In our Swimwear collection we have the Ted Baker DANBURY range. Make waves by the poolside in the DANBURY swim shorts. Available in several bold shades with a classic drawstring fastening, this holiday essential will ensure you look swimmingly stylish all summer long. 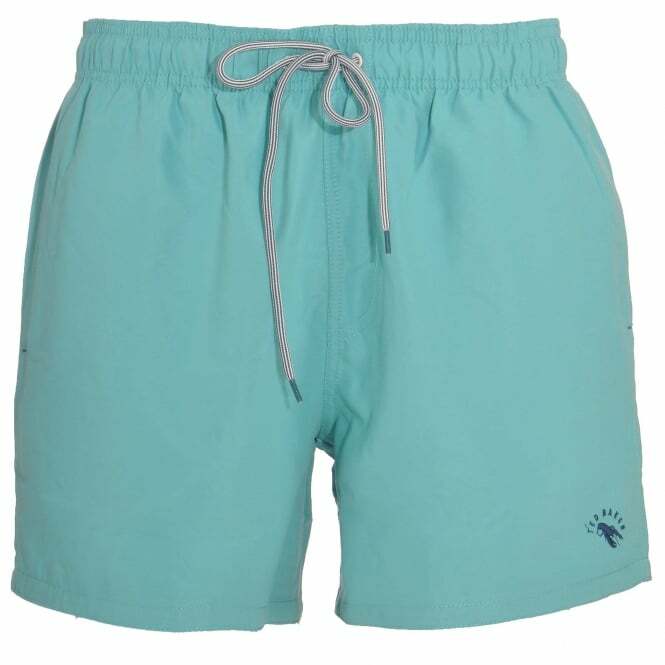 In this range we have the Light Blue Ted Baker DANBURY Plain Swim Shorts, which are available in multiple sizes ranging from Small to Extra Large.